The Ryogoku neighborhood, in the southwest portion of the Sumida Ward in Tokyo, is nearly synonymous with Sumo, the Japanese style of wrestling. Sumo is one of Japan's most famous sports, where the two giant wrestlers grapple and attempt to hoist each other out of the ring. 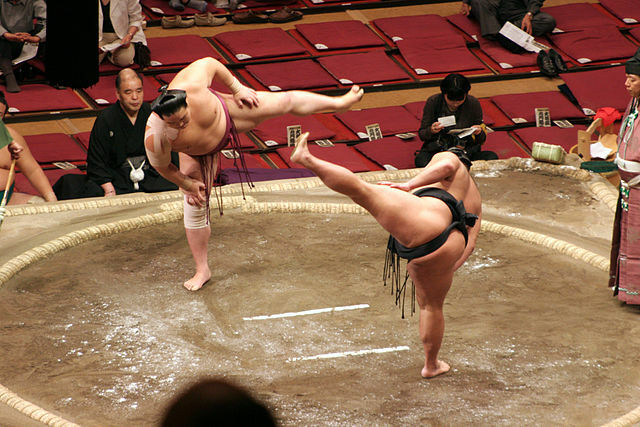 The rules are simple: the wrestler who first exits the ring "Dohyo" or touches the ground with any part of his body besides the soles of his feet loses. 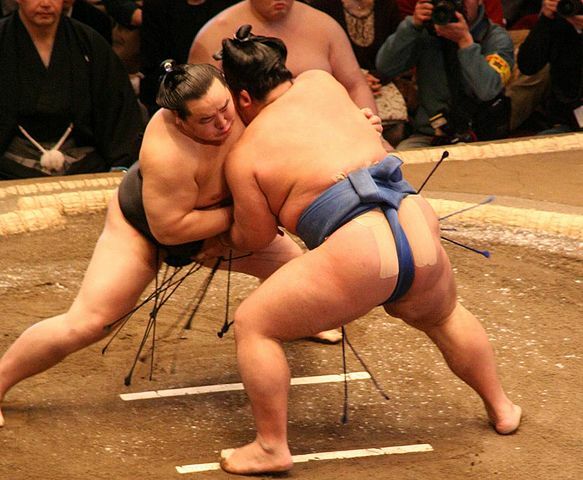 There are no weight restrictions or classes in professional sumo, and considering the range of body weights in sumo, an individual wrestler can sometimes face an opponent twice his own weight. Ryogoku, the heartland of professional sumo, is home to the Sumo Stadium, many Sumo Stables and Chanko restaurants. 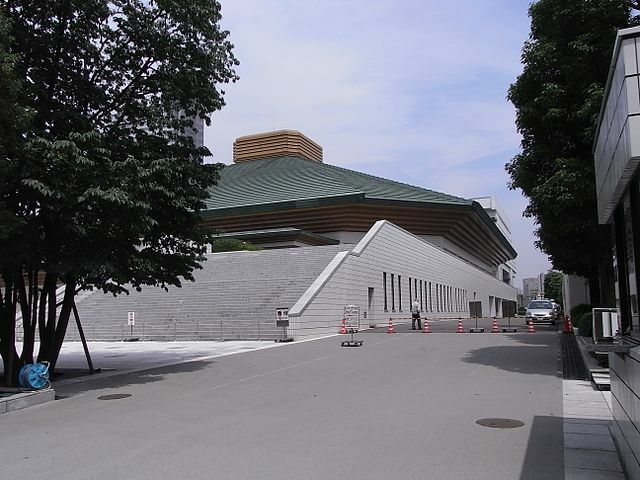 The growing popularity of Sumo during the Meiji period led to the building of the original sumo hall in Ryogoku area in 1909. 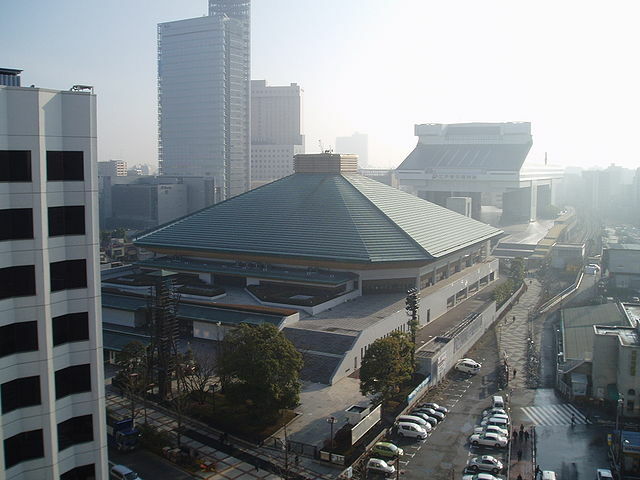 The present Ryogoku Kokugikan "Sumo Stadium" was opened in 1985 and it seats over 10,000 visitors and hosts three of the six annual sumo tournaments "in January, May and September". ​The other three are held one each in Osaka "March", Nagoya "July" and Fukuoka "November". These tournaments last for 15 days, and are filled with ceremony and ritual which observe strict hierarchies not just for the wrestlers, but also for the referees and callers. The competition each day begins around 9:00 in the morning with the amateurs, and from there, wrestlers compete in progressing order of seniority. English pamphlets describing the day's program and sumo in general are available, and radios with live English commentary can be rented. A shop and a small sumo museum tucked inside the arena's first floor are open to visitors. 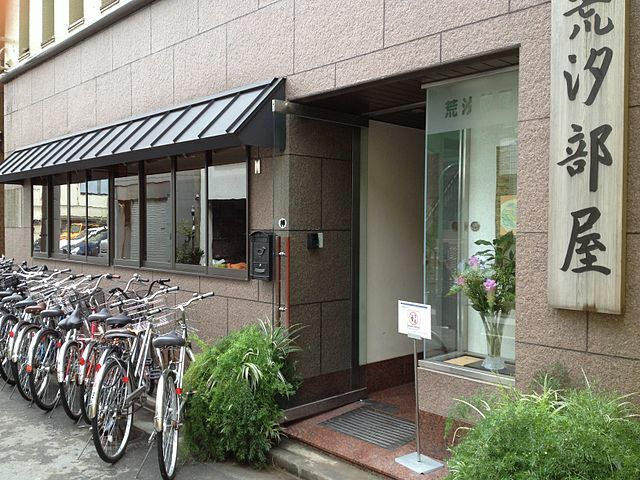 The Museum is dedicated to the history of sumo, particularly artifacts and ceremonial clothing. The collection rotates several times a year. 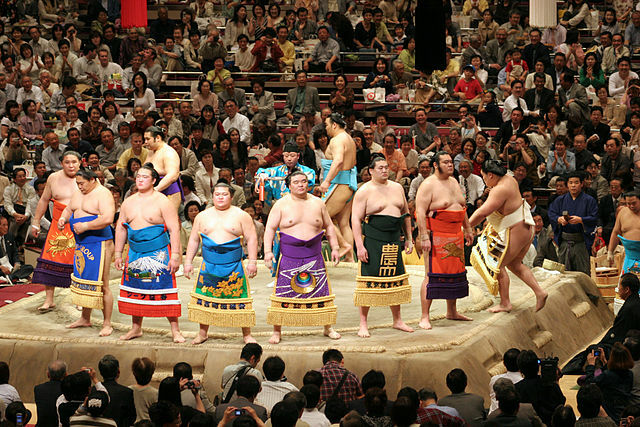 During sumo tournaments they are only accessible to tournament ticket holders. Tickets can be purchased in advance through the official vendor or via buysumotickets.com. Alternatively, they can be purchased at convenience stores "some Japanese skills required" or at the stadium. If you want to buy the ticket at the stadium you should showed up at the Kokugikan at 6 a.m. or earlier — the ticket gate opens at 7 a.m. Even at 6 you might find some sleepy-looking souls already in line. If you would like to reserve Sumo tournament tickets in advance, JTB group sells tour packages to Tokyo's three Sumo tournaments, which currently includes a tour of the Sumo Museum and a second floor reserved seat to watch the afternoon Sumo matches. 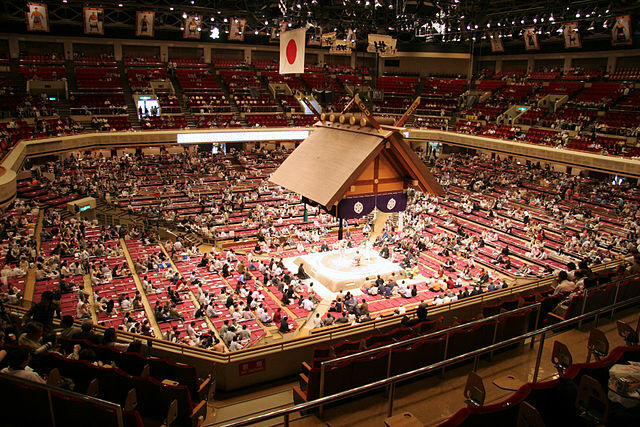 ​The Kokugikan has both Western-style seats typically found in an arena and Japanese-style floor box seats. ​There are three types of seats available to regular visitors. Ringside Floor Seats - These seats are the closest to the ring, most expensive and difficult to get. Ticket holders sit on cushions on the floor and are exposed to the risk of injury due to wrestlers flying into the spectators. Box Floor Seats - The rest of the stadium's first floor consists of box seats. 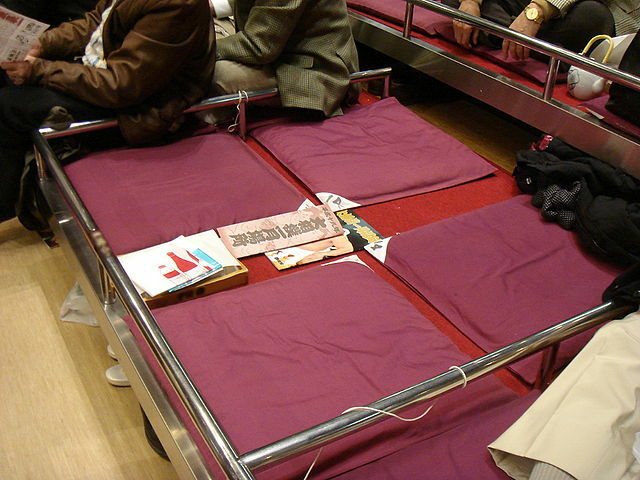 Box seats are Japanese style seating in which spectators remove their shoes and sit on a cushion on the floor. The standard box seat is for 4 people and you need to pay per box - not per person. Box seats are classified into A, B and C boxes according to distance to the ring. Arena-Style Seats – There are several rows of Western-style seats on the second floor balcony. Balcony seats are also classified into A, B and C seats depending on distance to the ring. Furthermore, there is one section called "arena-style general admission seats". These seats are for exclusive use by holders of same-day tickets and they are the cheapest ticket type which is available only at the Kokugikan Box Office on the tournament days. 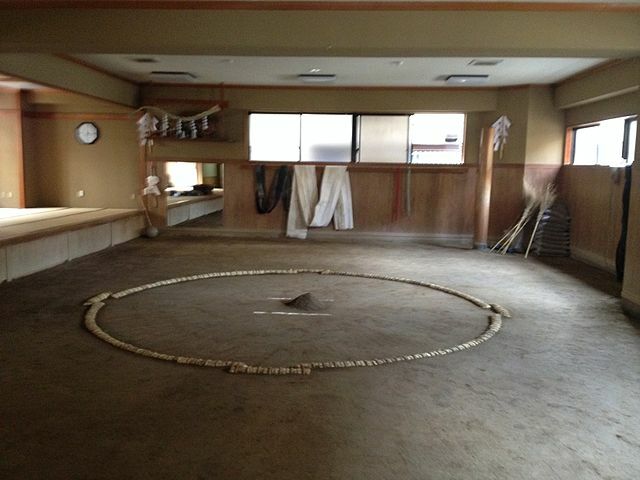 ​Sumo Stable "Heya", an organization of sumo wrestlers is where wrestlers live and train. All wrestlers in professional sumo must belong to one. Currently there are 45 active stables "as of April 2017", which many of them are located in the Ryogoku area. 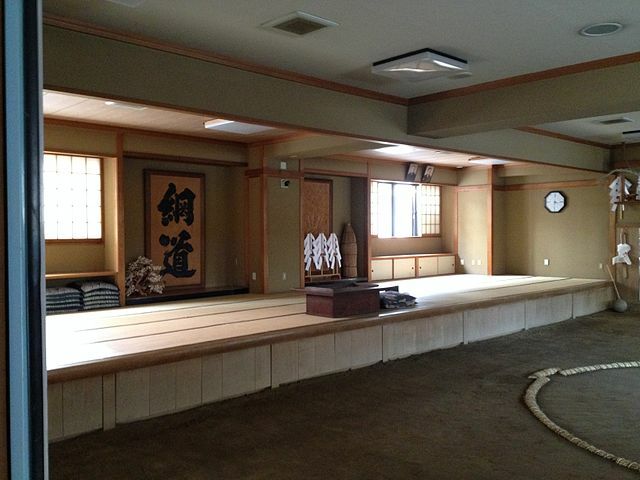 Few will ever think of attending a morning training session known as asageiko. And it is likely that fewer still will ever realize that they can easily, with just a little effort, attend what is perhaps the very best opportunity to see sumo up close and in person. At some stables like Arashio, it is possible to see the sumo practice in the early morning hours. The time training starts will vary from stable to stable, often beginning around 06:00 – 07:00 and lasting approximately 3 hours. It’s respectful to arrive towards the beginning of practice and stay for the whole time. ​Visitors to sumo practice should also follow a few basic rules of etiquette when visiting a stable. Bow to the stable master or other senior who’s leading the practice when you enter and leave the stable, as well as to the wrestlers. When sitting and watching, many Stables will offer a cushion called Zabuton. You don’t have to sit on your knees in the traditional style – cross-legged or with your legs to the side is fine – but you shouldn’t point the soles of your feet towards the ring where wrestlers fight, if possible. You should refrain from taking photos, eating and drinking, and observe all practice sessions in silence. Smoking is, of course, another activity to avoid even if stable masters partake. Generally advance arrangements will be necessary, preferably with the help of a Japanese speaker. Contact information and the best dates to visit can be obtained by mail from the staff of Sumo Fan Magazine. It is a hot pot dish that comes in many varieties and contains fresh vegetables, meat, seafood, tofu, and noodles. Chanko Nabe is also a popular restaurant food, often served in restaurants operated by retired sumo wrestlers who specialize in the dish. 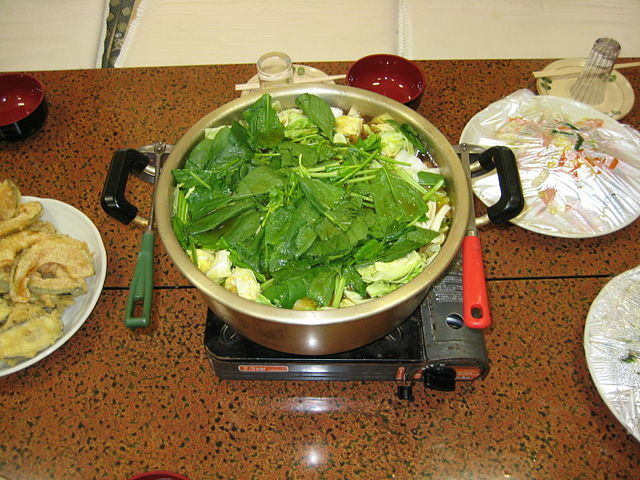 There are several restaurants in the Ryogoku area that feature Chanko Nabe on their menus. 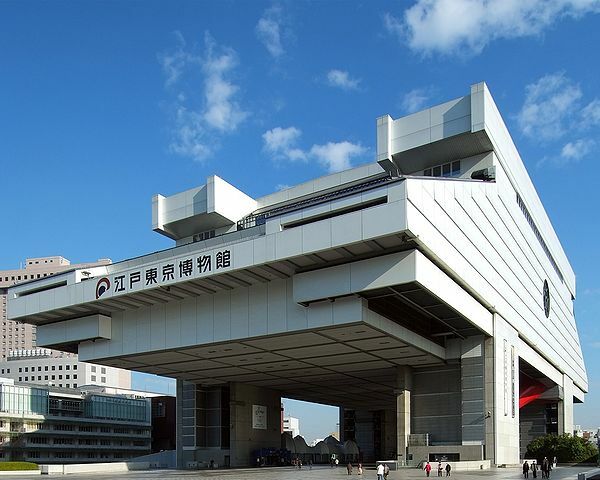 ​Edo-Tokyo Museum is just around the corner from the sumo stadium. This multi-story edifice suspended in midair, through numerous models of towns, figurines, life-sized figures and many other exhibits covers the history of the metropolis, starting from 1590 when it was selected as Japan's new capital Edo. Free informative tours are available in Japanese, English, Chinese, Korean, French, German and Spanish, depending on which volunteers are around. Audio guides also in several languages are always available. Admission fees vary. Take the JR Sobu Line or Oedo Subway Line to Ryogoku Station. 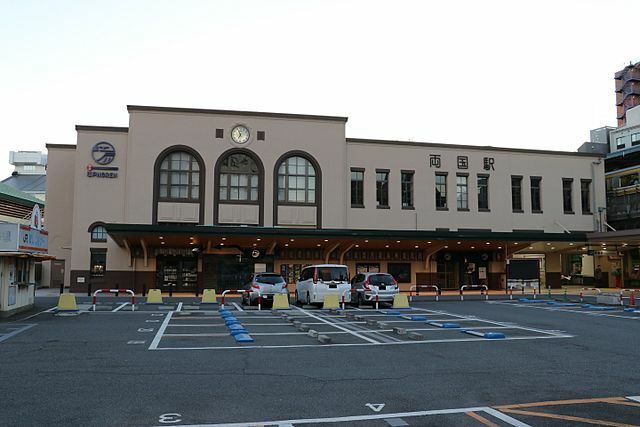 The sumo hall is two minutes’ walk from the station. Tokyo SkyTree the world's tallest self-supporting tower is about twenty minutes’ train rid from Ryogoku Station.